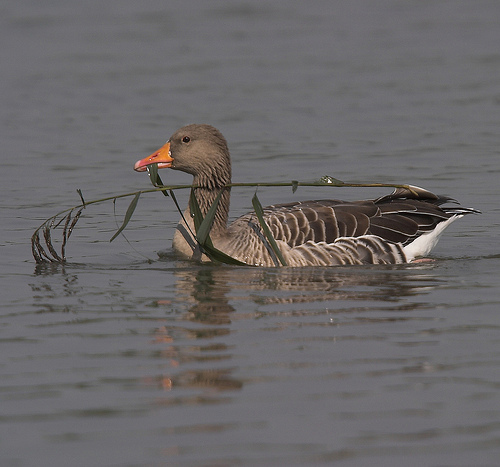 Greylag Goose swimming with a piece of reed. This Greylag Goose isn't building a nest, it's lunch! 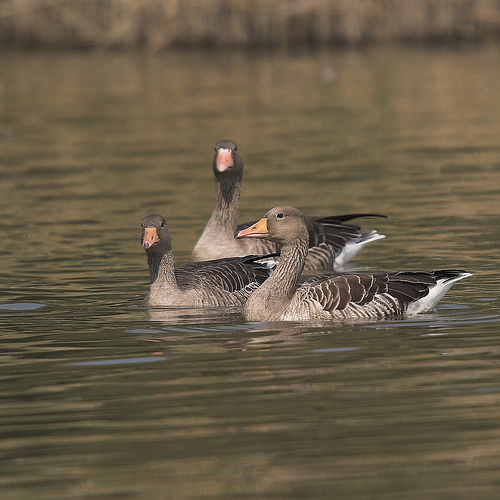 Three Greylag Geese swimming in a tributary of the Hollands Diep. 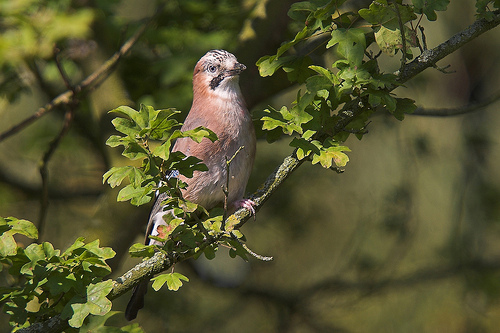 Eurasian Jay in an oak. Eurasian Jays eat a lot of acorns (which they also hide for winter). So it's not strange to see a Jay in an oak. 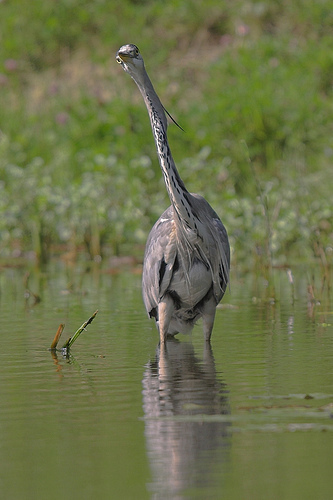 Blue Heron in the water. This Blue Heron was posing nicely while I was able to get in more closely.